I was sent a complimentary copy of this one in return for an honest review – thank you! Daniel Bremer is a Finn living in Paris. He tries to launch his writing career while he is profiting from the abundance of Parisian cafes and lovely bookstores, Shakespeare and Company among them. One of shop assistants, Lisa, is especially helpful when it comes to books he is looking for. One rainy day, however, Daniel meets a lovely, mysterious woman in Café Panis. She is reading an interesting book and, after a short conversation, she even agrees to meet Daniel again for a kind of shopping date but she doesn’t want to reveal her name. Unfortunately the very same day Daniel is confronted by three thugs and shot at repeatedly. Now he has to hide using every opportunity he can get. Why? He cannot answer that question. Strange, isn’t it? The book was narrated from five (sic!) POVs, including the first person limited voice of the main lead, Daniel Bremer and third-person limited voices of Lisa, the shop assistant at Shakespeare and Company, and Marie Allègre, the mysterious French woman. Sometimes I found such a solution cumbersome, sometimes it didn’t bother me at all. The chapters were titled after different novels which I found original. Too many ‘Raymonds’ here, don’t you think? Add to that some split infinitives (“They needed to completely take the target off guard, since he was presumably dangerous and possibly armed.”) and surprising mistakes with tenses (“Marie had left Shakespeare and Company immediately after Daniel had called from the cab.”) and you understand why I wish the novel was edited more thoroughly. Or the translator did a better job. If your country has a problem with foreign intelligence, spies or whatever get yourself an ordinary Finnish bloke – still make sure he knows how to play American Footbal. ;p Your ladies will thank you too. A strange mix between a spy novel, erotica and a thriller. Bad translation (?) plus some obvious clichés spoiled the experience for me. Meh. 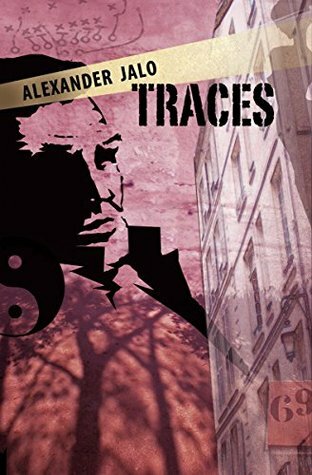 This entry was posted in book review, contemporary, erotica, lgbtq, meh, rating, suspence, thriller and tagged alexander jalo, English translation, Finnish original, meh, pretty hero, pretty heroine, series alert, traces. Bookmark the permalink. Or is it an accurate translation of a mediocre novel? I suppose we’ll never know. Taking into account the overall impression it doesn’t matter I suppose. D: Why couldn’t there be some nicknames like “Ray”, “Mo”, etc? Gah.